How many .tel will be registered on 31/12/2013? How .tel will perform during the next 12 months? Please vote above and comment! Re: What 2013 will bring? 2. See the impact of the Telnames launch in spring 2012. 3. Compare the daily registrations with other TLDs. TelKing wrote: 1. Follow the trend. The trend can only be broken if something extraordinary will happen, as example if Telnic will begin to develop .tel. But how high are the chances for that? That’s not realistic, because Telnic has reduced the effort from year to year. The more registrations will decline, the more Telnic will reduce the development. What 2013 will bring? Price increase anyone? After January 14th 2013 Up from £14-95 to £24-95! * Introductory price - expires 14 Jan 2013 (normal price £24.95). Includes set up, hosting & VAT. If there really will be a price increase at Telnames, you can transfer your domains back to any other registrar. Orangeblossom wrote: What 2013 will bring? Price increase anyone? That would be the deathblow for .tel! I don't care if .tel will have 50,000 or 150,000 registrations overall. If .tel won't have any growth, it'll sink anyway. What's the difference whether .tel sinks slow or fast? TelKing wrote: What's the difference whether .tel sinks slow or fast? I think there is a difference. I would even prefer that if sinking, it would sink fast. Then the situation will force Telnic to make right decisions quicker. I think there is a difference. I would even prefer that if sinking, it will sink fast. Then the situation will force Telnic to make right decisions quicker. I don't expect .tel to sink faster than what we see now. Most people have left the party during the last 3 years. The rest are people with more patient and will just wait for signs of improvement. With continuing absence of improvements they will slowly surrender step by step. After years of customer complaints, perhaps Telnic will show judiciousness one day and will take customer requirements into account. 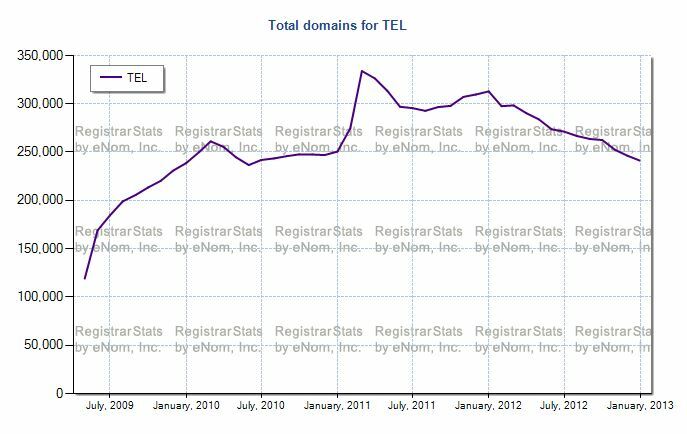 Instead the launch of Telnames has accelerated the downward trend. Certainly only a spelling mistake. Expert wrote: Instead the launch of Telnames has accelerated the downward trend. ... because .tel holders can see that .tel has been treading water and the pro .tel isn't improving. So Telnames .tels will now cost about 4 times the price of Telnic .tels ! Now many small businesses may well say 40.50 USD is not bad value for a Telnames .tel for what they get (i.e. 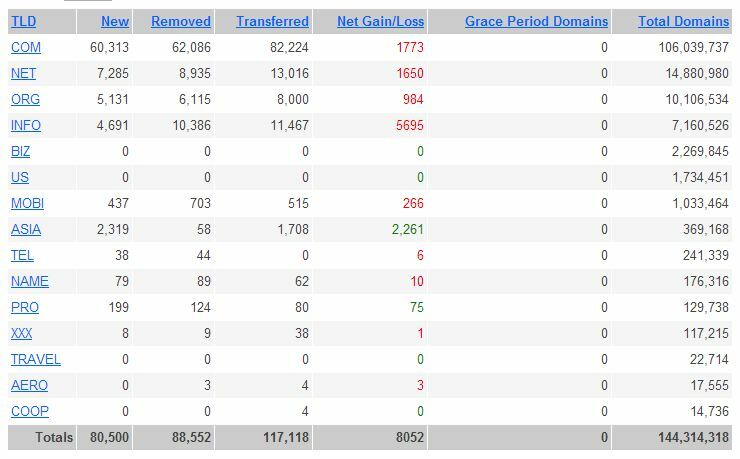 domain reg, control panel, hosting) for a year, but for anyone holding a reasonable number of domains and looking to transfer them to the only form of .tel being marketed (i.e. Telnames), then it is very bad news indeed ! I must admit I did not expect this to happen before Telnames had established itself as a worldwide brand - did anyone else see this coming ? We need a collapse to make everybody understand Telnic is on the wrong track. Why Telnic doesn't refine the design? The look of Telnames isn't perfect, but 100 % better than Telnic. mikeseaton wrote: I must admit I did not expect this to happen before Telnames had established itself as a worldwide brand - did anyone else see this coming ? Telnic is digging its own grave! Is this purposive optimism or will something happen in 2013? I wish I could be optimistic as you. To make 2013 the year of .TEL, Telnic has to start working hard. So I can either continue with my plans to transfer say 500 Telnic .tels to Telnames, at an extra cost of 15,250 USD per year, or keep the .tels at Telnic registrars and have $15,250 more per year to spend on life's little luxuries (BMWs and Boating). Guess what I've decided to do ? mikeseaton wrote: Guess what I've decided to do ? You will drop your 500 .tels, have $20,250 more per year to spend on life's little luxuries and finally live hassle-free without .tel! Sunrise wrote: To make 2013 the year of .TEL, Telnic has to start working hard. That's not the only thing needed. More important is to understand customer needs! I didn't post that as an option but it obviously merits my consideration ! mikeseaton wrote: I didn't post that as an option but it obviously merits consideration ! It's a tough call, because nobody knows where .tel will stand in a few years. Telnic can always decide to correct the mistakes from the past. Then .tel could turn into a very interesting offer.